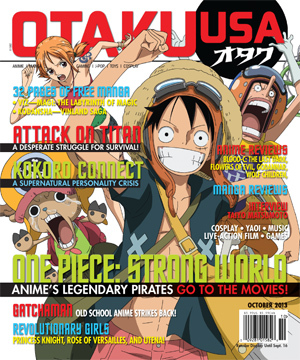 Otaku USA is the huge, full color, glossy magazine with the latest on Anime, Manga, Cosplay, J-Pop, Games and much more. 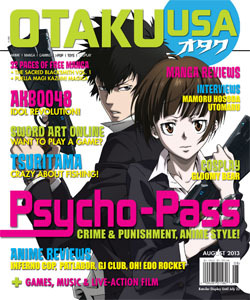 Plus each issue includes 32 pages of new manga -- FREE! Subscribe for One or Two years and SAVE up to $31 off the newsstand price -- that a big 44%! $24.95 per year best value! 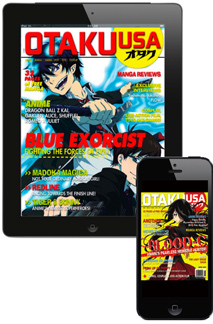 OTAKU USA © 2019 All rights reserved.